I see the top of this church every time I walk across the piazza near my house. Built from 1642-1660, it’s a classic work of Baroque architecture. The architect was Francesco Borromini, aka arch enemy of Gian Lorenzo Bernini. While I am down for Bernini, it’s unfortunate that Borromini is not appreciated more. His contemporaries were perceived as being stronger visual artists. 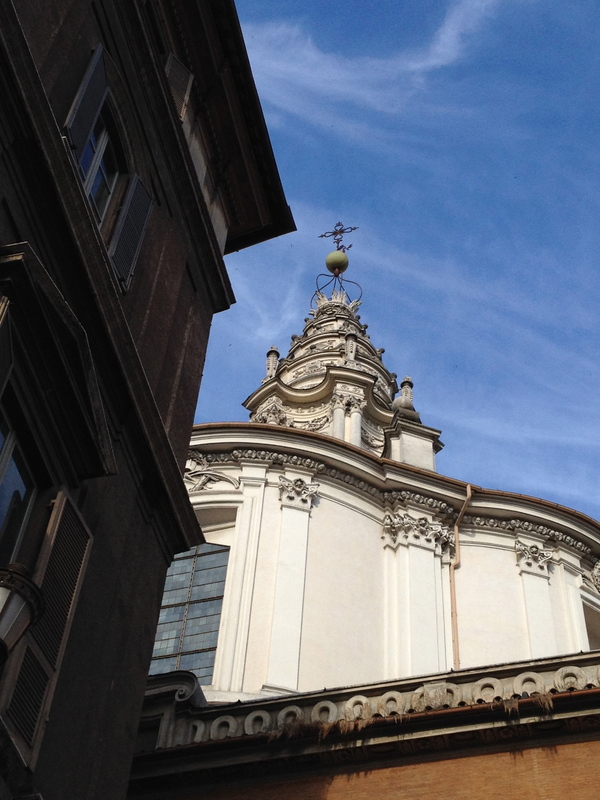 Borromini’s strength was more technical but that doesn’t mean we should overlook the beauty of his buildings. Borromini was extremely difficult to work with and often depressed. He committed suicide in 1667. This church is just one of his masterpieces and it inspires me. Beautiful picture. Happy weekend to you too!